Everyone knows that oxygen is essential for all life – the body uses it as it breaks down food and creates energy for cells. But did you know that, as well as being an absolute necessity for good health, its use in the body can also result in the production of certain unwanted by-products, called oxidants. Free radicals are produced as a result of both internal (endogenous) and external (exogenous) factors. Endogenous free radicals are produced as a result of normal biological processes, like aerobic respiration, metabolism and inflammation. 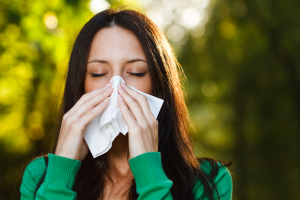 In contrast, exogenous free radicals are produced as a result of environmental factors. For example, pollution, sunlight, stress, UV rays, poor diet, alcohol intake, smoking, strenuous exercise and X-rays. Unfortunately, in this modern age of pollutants and toxins, both in the environment and in our food chain, levels of free radicals in our bodies are higher than ever before. It is impossible to avoid damage from free radicals, and our body’s own defences against it are not foolproof. When our levels of free radicals exceed the protective capabilities of those defences, what is referred to as “oxidative stress” occurs. This means that the system is no longer able to readily detoxify or to repair the resulting damage. As time goes on, cell parts damaged by oxidation accumulate, contributing to toxic load, ageing, a strained immune system and illness. The human body is pretty amazing and, for the most part, its complex processes run smoothly. However, like everything else, it eventually comes under strain and can even break down, especially as we age, and physical ailments can start to crop up. The key is to provide our bodies with as much nutritional support as we can, so that it can fuel its own natural defences. Vitamin C and vitamin E are two of the most potent antioxidants found in nature, present in high levels in foods such as parsley, rosehips, elderberries, blackcurrants, citrus fruits, broccoli, nuts and whole grains (oatmeal, rye, barley). Foods that have exceptionally high levels of antioxidants are often referred to as “superfoods” or “superfruits”, for that reason. For example, green tea, acai berries and wheatgrass. However, if you feel that you need additional support, a more concentrated intake, or a more convenient and reliable source, food-based antioxidant supplements can be the perfect solution. Is teal the new orange? Now in its third year, the Teal Pumpkin Project is in the spotlight again. The idea is that households place a teal coloured pumpkin outside their house on Halloween if there are allergy- friendly goodies on offer to trick or treaters. 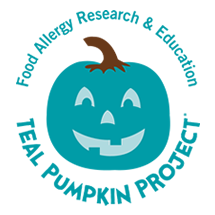 The brainchild in 2014 of FARE at foodallergy.org in the US, The Teal Pumpkin Project now has many nations taking part with the idea really catching on here in the UK too. An increasing number of children in the UK are affected by a food allergy, so what allergy friendly items can you offer? They could be healthy or free from treats, and FARE also suggest non-food items such as a tiny colouring books or a bouncy ball or glow in the dark bracelet perhaps.